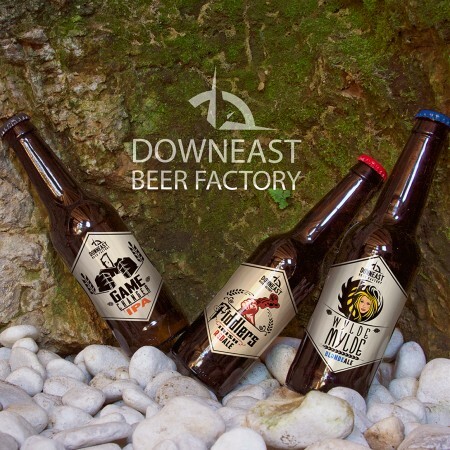 DARTMOUTH, NS – Almost a year after its launch as a brewery and restaurant in the former Sleeman Breweries facility in Darmouth, Downeast Beer Factory has announced that its three core brands are now bring distributed to select NSLC locations. Wild Myld Light Blonde Ale (4% abv), Fiddlers Irish Red Ale (5% abv), and Game Changer IPA (6.5% abv) are all available in 4-packs of 500 ml bottles. All three brands also remain available on tap and in the retail store at Downeast Beer Factory at 612 Windmill Road in Dartmouth.